Zoom way in with the extraordinary power of 42x optical zoom and capture sharp close-up photos and Full HD 1080p videos, then get insanely close with 84x Dynamic Fine Zoom—enough reach to see small details on subjects far in the distance. Add the optional WU-1a Wireless Mobile Adapter (sold separately) and use a compatible smartphone or tablet to share your shots and even take pictures with the P530. The camera's stylish, comfortable design with a grip, electronic viewfinder and high-resolution LCD make it easy to frame and record, while optical Vibration Reduction helps keep shots sharp when your hands are a bit unsteady. And for those who want total creative freedom, manual modes can be quickly accessed from the mode dial. Every COOLPIX is designed around a genuine NIKKOR glass lens, the legendary optics that have helped make Nikon famous. The COOLPIX P530’s 42x optical zoom lens goes from wide-angle—great for portraits and landscapes—all the way up to telephoto—great for closeups of sports, concerts, nature and more. When you need even more reach, zoom up to 42x with optical zoom and 84x with Dynamic Fine Zoom, an enhanced digital zoom function that effectively doubles your reach. Your smartphone or tablet will be your favourite accessory! Take beautiful photos with the COOLPIX P530 and watch them instantly appear on your compatible smartphone or tablet. Then share them without missing a beat—text them, email them, upload to your favourite social networking site—it’s your choice! You can even use your smartphone or tablet as a remote control for the COOLPIX P530, perfect for self portraits and group shots that actually include you. The COOLPIX P530 takes exceptional images on its own, but when you want to take control of exposure, you can. Select from Programmed, Shutter Priority, Aperture Priority or Manual mode and create without limitations. 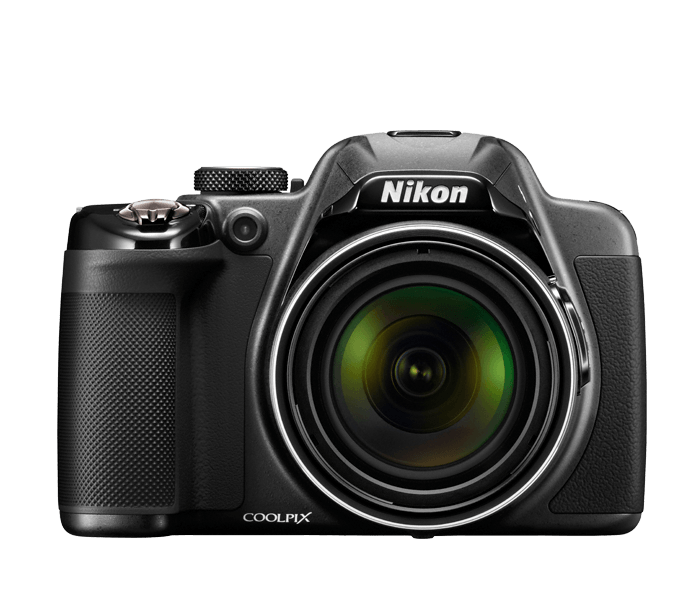 If you want a compact camera that shoots stunning Full HD videos, the COOLPIX P530 delivers. Full HD 1080p means exceptional video quality. Record the action, then connect to an HDTV* and watch your videos come alive. A built-in mic records high-quality audio in stereo. Your videos will look and sound phenomenal. Imagine being able to shoot without a flash at weddings, concerts, parties—anywhere your flash normally fires. You won't have to interrupt a moment to capture it, and your photos will look more natural and true to your memory. The COOLPIX P530 performs so well in low light situations that, in most cases, using the flash is optional. Of course, when the lighting is extremely poor and you need a flash, it'll be there. Optical Vibration Reduction keeps the shot steadier, even if your hands are not. Say goodbye to blurry photos, shaky videos and tripods. When the action speeds up, simply hold the shutter button and fire off up to 7 continuous shots per second. Catch views you may not have seen before in your photos. Easily change the look and feel of your photos with Colour Options. Select from Standard, Vivid, Black & White, Sepia and Cyanotype. Kids and pets are always on the go. Fortunately, the COOLPIX P530 includes Subject Tracking, which automatically locks onto a moving subject and helps keep it in focus until you're ready to take the shot.